SAN FRANCISCO--(BUSINESS WIRE)--Twist Bioscience, a company accelerating science and innovation through rapid, high-quality DNA synthesis, today announced that, working with Microsoft and University of Washington researchers, they have successfully stored archival-quality audio recordings of two important music performances from the archives of the world-renowned Montreux Jazz Festival. 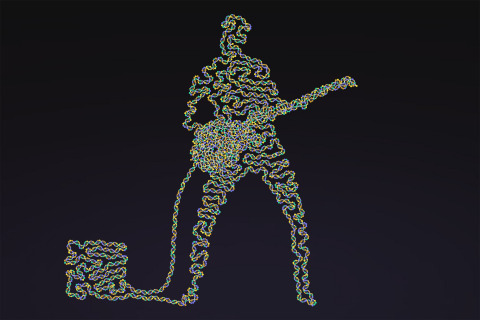 In this proof-of-principle project, two quintessential music performances from the Montreux Jazz Festival – Smoke on the Water, performed by Deep Purple and Tutu, performed by Miles Davis – have been encoded onto DNA and read back with 100 percent accuracy. After being decoded, the songs were played on September 29th at the ArtTech Forum (see below) in Lausanne, Switzerland. Smoke on the Water was selected as a tribute to Claude Nobs, the Montreux Jazz Festival’s founder. The song memorializes a fire and Funky Claude’s rescue efforts at the Casino Barrière de Montreux during a Frank Zappa concert promoted by Claude Nobs. Miles Davis’ Tutu was selected for the role he played in music history and the Montreux Jazz Festival’s success. Miles Davis died in 1991. Benefitting from the establishment of a favorable environment for the creation of technology companies, the Foundation aims to position itself as key promoter of ideas and innovative endeavors within a landscape of "Culture and Science" that is still being shaped.